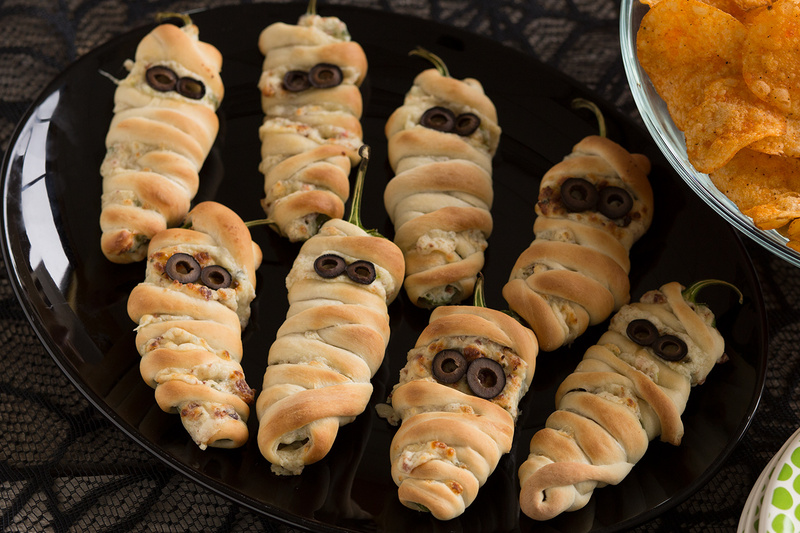 Fabulous and fun food for your Halloween celebrations. Combine cheeses, green onion and bacon and mix well. Fill pepper halves with cream cheese filling. Cut each roll in half. Roll each half into a 20-22 inch rope. Wind the rope around the filled pepper half to make a mummy. Leave space for the olive eyes. Bake at 400 degrees F 8-10 minutes. Remove from oven and press slices of olive in the space for the eyes.